A vibrant, detailed full color art print made with Epson lightfast inks in my studio. This inspirational print features whimsical vintage elements and colorful butterflies, layered with one of my original angel drawings featuring a vibrant hummingbird. 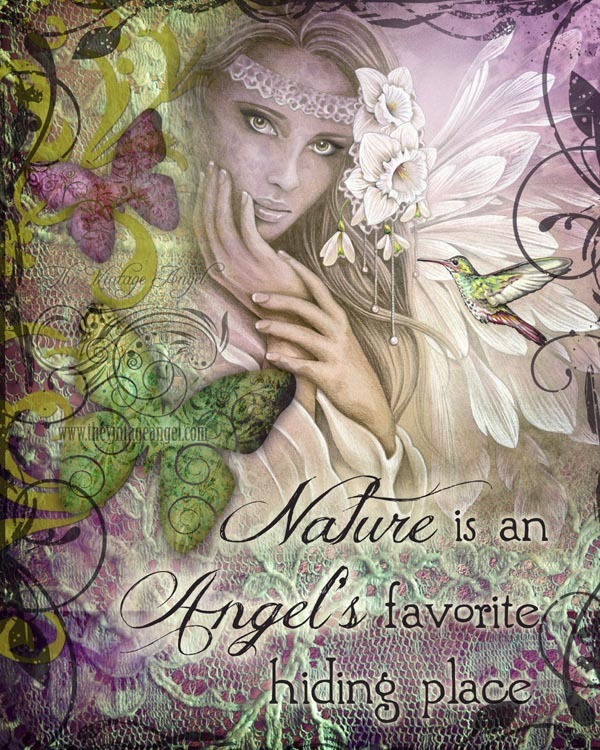 A beautiful quote about angels is part of the graceful image. Print is 8" x 10" with no white border, ready to frame in the standard 8" x 10" photo frame of your choice. Ships flat with backing board and clear sleeve.